University of Bradford conducted a research that examined the role of enzyme catalase for hair greying process. It demonstrated that accumulated oxidation triggers hair follicles to overproduce hydrogen peroxide. 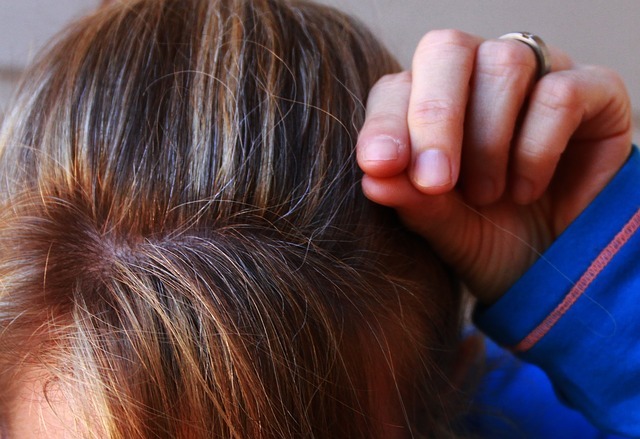 That is how the hair starts greying – it bleaches itself from the inside out. Accumulation of hydrogen peroxide prevents production of melanin. Melanin is the pigment that gives hair its color – brown, blonde or black. Of course, underneath are the series of other complex chemical processes. Oxidation and follicle damage affect enzymes such as catalase. This enzyme is responsible for breaking up hydrogen peroxide into oxygen and water. That allows organism to eliminate it. However, levels of catalase drops as we age, allowing accumulation of hydrogen peroxide. One conclusion comes naturally – increasing amounts of catalase through nutrition might help your body fight unwanted aging effects, such as greying. One of the food that contains high amounts of catalase is beef liver. Sufficient intake can help the body break down the hydrogen responsible for grey hair. In addition, it is high in vitamin A, protein and zinc. However, bear in mind that beef liver can also contain a lot of harmful fats and cholesterol, so be careful with its intake. Combine it with vegetables and fruits that contain catalase. That will be the best way to both reverse hair greying and take care of your heart’s health. You are probably wondering which plants contain sufficient amounts of catalase for hair. While all plant cells contain it in certain amounts, there are several that will ensure sufficient levels of catalase in your body. Those are newly sprouting, young plants – lentils, wheat sprout, clover, dark green and Brussels sprouts. In addition, foods like cheese, yeast, sunflower seeds and dairy products also contain catalase. Due to its amazing properties, scientists are constantly studying catalase and its possible applications on extending vitality and life span. University of Washington conducted a research on lab rats that involved increase of natural catalase levels in their bodies. Results were rather amazing – life span of rats was increased by almost 20%. While research of this beneficial enzyme is still ongoing, there have been many results that confirmed benefits of catalase in form of nutritional supplements. One of the popular catalase for hair products is CatalaseNow. It contains high concentration of catalase and highest quality of vitamins for hair thickness. While catalase helps protection from hydrogen peroxide, herbal, plant and mineral additives support fuller thicker hair. Take advantage of this risk-free offer to give your hair the support it needs.